Background/aim: The annual Hajj pilgrimage to Mecca, which attracts more than 3 million Muslim pilgrims from around the world, has played a role in the global spread of meningococcal infection. We aimed to compare pharyngeal carriage of Neisseria meningitidis in Hajj pilgrims before departure and after returning to Iran, Zahedan. Materials and methods: This prospective and cross-sectional study was conducted among Hajj pilgrims in Zahedan (southeast Iran) in 2012. We studied all pilgrims who agreed to participate in this study and who met the inclusion criteria. Sampling was done by swabbing the posterior pharyngeal wall through the mouth with direct plating or keeping transport time to below 5 h. Specific culture, oxidase test, and carbohydrates tests were done on the positive samples. Results: Among 422 pilgrims (42.2% male, 57.8% female; with age range 21-95 years), 6 (1.4%) were positive for N. meningitidis after the Hajj pilgrimage. Nobody was positive before departure. During the Hajj 58.5% of the participants received antibiotics. Conclusion: According to the results of our study, the prevalence of pharyngeal carriage of N. meningitidis in pilgrims after returning to Zahedan was low (1.4%). The quadrivalent meningococcal vaccine and antibiotic therapy were effective in reducing the number of carriers among pilgrims after travel. Woods CR. Neisseria meningitidis (meningococcus). In: Kliegman RM, Behrman RE, Jenson HB, Stanton BF, Zitelli BJ, W H. Nelson Textbook of Pediatrics. 18th ed. Philadelphia, PA, USA: Saunders Elsevier; 2007: 896–899. Al-Tawfiq JA, Clark TA, Memish ZA. Meningococcal disease: the organism, clinical presentation, and worldwide epidemiology. J Travel Med 2010; 17: 3–8. Ala’Aldeen DA. Neisseria and moraxella: meningitis; septicaemia; gonorrhoea; respiratory infections. In: Greenwood D, Slack R, Peutherer J, Barer M R, Irving WL. Medical Microbiology: A Guide to Microbial Infections: Pathogenesis, Immunity, Laboratory Diagnosis and Control. 17th ed. Philadelphia, PA, USA: Churchill Livingstone Elsevier; 2007. pp. 251–259. World Health Organization (WHO). Meningococcal disease: situation in the African meningitis belt [online]. Geneva: WHO; 2009. Available at: http:// www.who.int/csr/don/2009_03_25/ en/index.html [Accessed 21 March 2011]. Alborzi A, Oskoee S, Pourabbas B, Alborzi S, Astaneh B, Gooya MM, Kaviani MJ. Meningococcal carrier rate before and after Hajj pilgrimage: effect of single dose ciprofloxacin carriage. East Mediterranean Health Journal 2008; 14: 277–282. Al-Gahtani YM, El Bushra HE, Al-Qarawi SM, Al-Zubaidi AA, Fontaine RE. Epidemiological investigation of an outbreak of meningococcal meningitis in Makkah (Mecca), Saudi Arabia, 1992. Epidemiol Infect 1995; 115: 399–409. Moore PS, Reeves MW, Schwartz B, Gellin BG, Broome CV. Intercontinental spread of an epidemic group A Neisseria meningitidis strain. The Lancet 1989; 334: 260–263. Husain EH, Dashti AA, Electricwala QY, AbdulSamad AM, Al- Sayegh S. Absence of Neisseria meningitides from throat swabs of Kuwaiti pilgrims after returning from the Hajj. Med Princ Pract 2010; 19: 321–323. Novelli VM, Lewis RG, Dawood ST. Epidemic group A meningococcal disease in Haj pilgrims. The Lancet 1987; 2: 863. Fine A, Layton M. Serogroup W-135 meningococcal disease among travelers returning from Saudi Arabia—United States. Morb Mortal Wkly Rep 2000; 49: 345–346. Kilic A, Urwin R, Li H, Saracli MA, Stratton CW, Tang YW. Clonal spread of serogroup W135 meningococcal disease in Turkey. J Clin Microbiol 2006; 44: 222–224. Ceyhan M, Yildirim I, Balmer P, Borrow R, Dikici B, Turgut M, Kurt N, Aydogan A, Ecevit C, Anlar Y et al. A prospective study of etiology of childhood acute bacterial meningitis, Turkey. Emerg Infect Dis 2008; 14: 1089–1096. Aguilera JF, Perrocheau A, Meffre C, Hahne S. Outbreak of serogroup w135 meningococcal disease after the Hajj pilgrimage, Europe, 2000. Emerg Infect Dis 2002; 8: 761–767. Fonkoua MC, Taha MK, Nicolas P, Cunin P, Alonso JM, Bercion R, Musi J, Martin P. Recent increase in meningitis caused by Neisseria meningitides serogroups A and W135, Yaounde, Cameroon. Emerg Infect Dis 2002; 8: 327–329. Wilder-Smith A, Goh KT, Barkham T, Paton NI. Hajj- associated outbreak strain of Neisseria meningitidis serogroup W135: estimates of the attack rate in a defined population and the risk of invasive disease developing in carriers. Clin Infect Dis 2003; 36: 679–683. Wilder-Smith A, Barkham TMS, Ravindran S, Earnest A, Paton NI. Persistence of W135 Neisseria meningitidis carriage in returning Hajj pilgrims: risk for early and late transmission to household contacts. Emerg Infect Dis 2003; 9: 123–126. Ceyhan M, Celik M, Demir ET, Gurbuz V, Aycan AE, Unal S. Acquisition of meningococcal serogroup W-135 carriage in Turkish Hajj pilgrims who had received the quadrivalent meningococcal polysaccharide vaccine. Clin Vaccine Immunol 2013; 20: 66–68. Nicolas P, Ait M’barek N, Al-Awaidy S, Al Busaidy S, Sulaiman N, Issa M, Mahjour J, Mölling P, Caugant DA, Olcén P et al. Pharyngeal carriage of serogroup W135 Neisseria meningitidis in Hajjees and their family contacts in Morocco, Oman and Sudan. APMIS 2005; 113: 182–186. ISNAD METANAT, MALIHEH , SHARIFI-MOOD, BATOOL , SANEI-MOGHADDAM, SARA , RAD, NAHID SEPEHRI . "Pharyngeal carriage rate of Neisseria meningitidis before and after theHajj pilgrimage, in Zahedan (southeastern Iran), 2012". 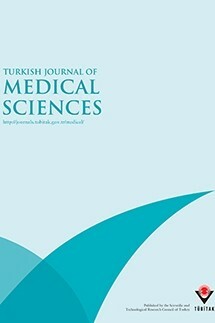 Turkish Journal of Medical Sciences 45 / 6 (December 2015): 1317-1320.